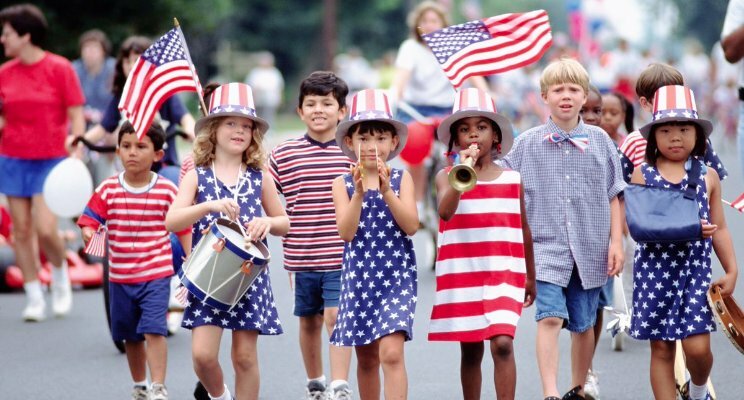 On Tuesday , the USA celebrated Independence Day, commemorating the adoption of the Declaration of Independence on July 4, 1776. Lost between the department store and auto specific sales commercials is the true meaning of “Why America is Great”. Quietly, my family and I celebrated the fourth at our apartment in Midtown Manhattan. At about 6 PM, before the roar of the Macy’s firework display, my wife prepared a simple cookout in a common area of our building. At the table next to us was a Chinese family of ten, including four generations, two of which were born in China. At another table, there was a three generation South-Asian family. We were just a two generation family. My son’s 4 great grandparents were all born in Italy, but at the age of 23, he still refers to himself as Italian-American. As the sun disappeared and darkness overcame the canyons of buildings, fireworks exploded in the New York City skyline.